Is English on the earth one of the school-subjects? You can see this “UK-flag” in front of you was presented to LL Shihoya Arai School by Prof. Hidetoshi Hashiguchi (who is one of Yoshy’s respected teacher in my days of Tokyo Economic College, and retired as an honorable professor of Tokyo Kasei University in the year of 2012.) when the third Opening Ceremony was open in 1977. On that occasion, he took his precious time to attend that opening ceremony and gave us his splendid speech. 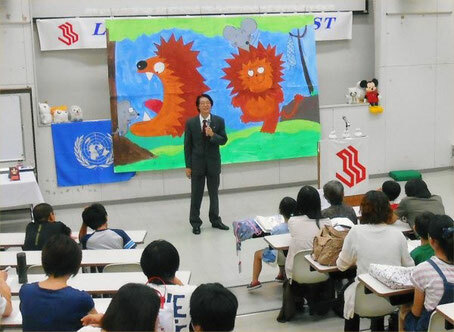 Prof. Hashiguchi’s wish is … that “To have LL students’ proficiency of English be growing” means not “the purpose of learning English itself”, but “the means in order to create lasting World Peace”. 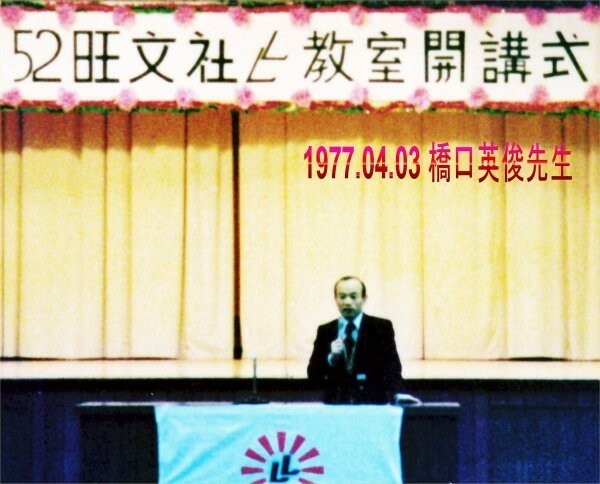 The late founder of Foundation Japan LL Education Center, Mr. Yoshio Akao’s wish was also that “The aim of running LL English Schools should be cultivating internationally-minded persons!” The wish of the both is almost same. I believe that English is not a school-subject, but “just a means for our communications”, which be natural. This makes clear departure from “the cram school or English schools just for feeling fun, etc.” As “to improve the command of Japanese” necessarily needs lots of knowledge of the other subjects, “to improve one of English as a language” also does them. Not teaching children “English”, but we must teach them “such various subjects as math, science, social studies, and etc. including social common sense” “by English”. To have children be able to “listen to, tell his/hers to, read and write” is the basis of the idea of LL Shihoya Arai School; and I will never give up running my school with this idea as long as I am healthy. “Learning English stands for improving communicative command by using a language of English!” Ministry of Education, Culture, Sports, Science and Technology (MEXT) has not been able to offer that yet. Why am I not teaching such school subjects as math, social studies, science and etc. in LL Shihoya Arai School? - You already know, don’t you? – Whatever the school subject is, if the school students had any question, they could ask their HRTs or subject-based teachers, which is originally natural and common sense! However, what is the reality? The students do not have guts to keep asking and most teachers except some do not try to make time like volunteering at early-time supplementary lessons for them, either. Probably most of them might be afraid of objection from teachers’ union; a proverb says that a tall tree catches much wind. … Don’t they ashamed it for both of MEXT and its public servants that there are many cram schools? What I have been challenging and will do in LL Shihoya Arai School is something “MEXT has not done yet”. “LL Speech Contest” by LL elementary school students starts after my speech. I think most parents would be moved by their children’s speeches, praising them in your minds, “You did well before a large audience in English as well!” … Especially, the family whose child won the prize might be greatly glad; on the contrary, the family of their children without any prize might be disappointed very much. Needless to say, “all recitations written on the program” in your hands were the stories or essays already made by adults. Remember that this LL Speech Contest for Elementary School Students is never “English Proficiency Contest”, please! This is just one of your child’s first steps so that he/she could tell “his/her thoughts and hopes to the people in the world” some day. 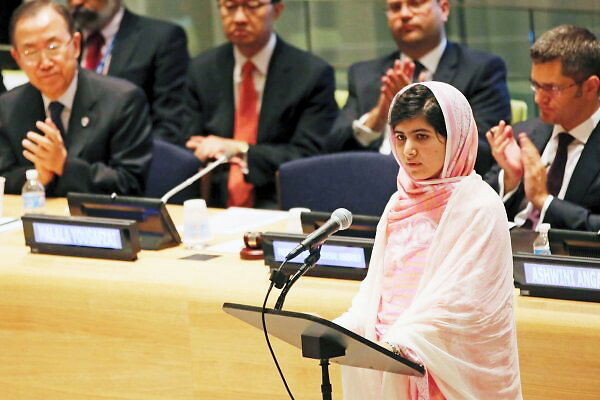 For example, if there were no “what I want to tell the audience like Miss Malala Yousafzai’s speech in UN” in this basis of evaluation in addition to “pronunciation and attitude”, I’m afraid, your speeches should not real practical command of communication e.g. in your home stay and so on. 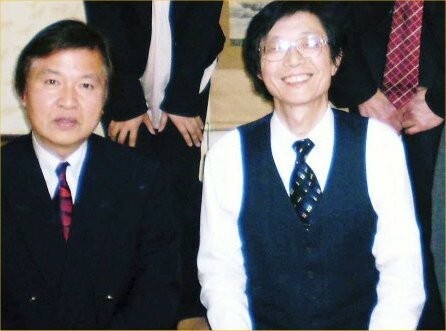 Though I hoped he could keep guts a little bit more, I understand how you felt in the organization; anyhow, I offer my heartfelt thanks to the late Mr. Furusawa.